Check the OVERVIEW under Published Music view information on other published music options and CD recordings. Click on highlighted title to listen to the recording of piano and orchestra. An orchestration includes the piano part, conductor's score, and individual instrumental parts. Keyboard #1 (piano part) should be played with the orchestra. Note that the keyboard #2 (organ part) is a reduction of the orchestration. This may also be used with the orchestration (played on an organ, or synthesizer) to fill in the String section, to add a solo instrument, or just to add overall fullness to the orchestra. The level of difficulty in the piano and orchestrations varies with each selection from moderate to moderate advanced. It is suggested that one listen to the recorded product to determine the different levels. Orchestration includes piano part, one copy of the separate parts and a bound conductor’s score. Permission is granted to make desired copies of the separate parts in to order to customize your needs for the size of the orchestra. 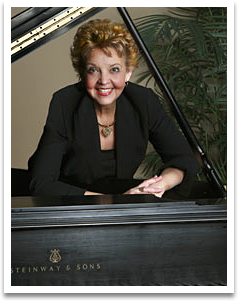 Orchestrations for solo piano and orchestra arranged and performed by Linda McKechnie, orchestrated by Don Marsh. please note: The conductor's score should be printed on 8x10 paper, 2 sided, and spiral bound. Optional choir part is included. The following orchestrations can be played with piano as the featured instrument or a handbell choir as the featured group. Handbell parts should be ordered separately from a handbell music distributor. Order information is under "published music" then "Handbells"
There is also a SPECIAL note regarding the measure numbers between the piano part and the orchestration. Originally, the score was written for 3 French Horns and no Trumpets or Trombones. If 3 Horns are not available, there are Trumpet and Trombone parts that could play Horn #1 and #2. The Horn could play the bottom note in the part. 3:08 What Child Is This? Please note: There are no trumpet, trombone, french horn, or tuba parts written.